BLOOMINGTON, Ind. -- A highly respected scientist and academic leader has been chosen to direct Indiana University Bloomington's new Integrated Program in the Environment. Jeffrey R. White, a teacher and researcher whose interests include the potential for life on Mars, will be the first director of IPE. It is the first phase in a reorganization of environmental sciences at IU Bloomington as outlined in the New Academic Directions report approved by the IU Board of Trustees in April 2011. The Trustees will get an update on the progress of the program from Provost and Executive Vice President Lauren Robel when they meet Dec. 6 at Indiana University Kokomo. The Integrated Program in the Environment is a joint effort of the IU Bloomington College of Arts and Sciences and School of Public and Environmental Affairs, where White is a member of the faculty. "IPE has the potential to transform environmental programs on the Bloomington campus," White said. "There are extraordinary opportunities and significant challenges ahead. Environmental and sustainability science education and scholarship in the United States is rapidly evolving and is a highly competitive landscape. IPE, for the first time, provides the campus an opportunity to establish an effective 'storefront' into IU's rich breadth and depth of talent in the environmental sciences, represented by more than 60 scientists spanning no fewer than seven academic departments and multiple schools." 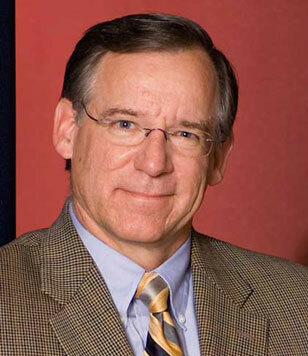 White has been a member of the SPEA faculty since 1983 and has also served as associate vice provost for Indiana University and as associate dean at SPEA. He has been an advocate of environmental education throughout his years at IU and helped to spearhead the campus-wide grassroots campaign that led to the creation of the Indiana University Research and Teaching Preserve. White has recently returned from Greenland, where he is conducting research under a $2.4 million NASA grant. The project's goal is to develop methods for measuring methane produced by cold-tolerant microbes on Earth as an analog for evaluating evidence of similar, carbon-based microbes that could have evolved on Mars and resulted in extraterrestrial life. "Jeff White is a wonderful choice to lead this new program due to his devotion to understanding change in complex environmental systems, his commitment to environmental education and his range of experience at IU," SPEA Dean John D. Graham said. "IPE will advance knowledge on complex issues such as rapid climate change and renewable energy resources," College of Arts and Sciences Dean Larry Singell said. "Jeff White's charge is to lead the College and SPEA faculty in preparing the next generation of scientists and policymakers for this field." New Academic Directions is an initiative to review and assess IU's existing academic structures to ensure they're efficient, effective and aligned with IU's teaching, research and service missions.